The syllabus for TNTET 2019 is set by the Concerned Authority and each candidate must follow the syllabus to score well in the exam. Along with the syllabus, candidates can also refer to TNTET 2019 Reference Books. Unit-I: The Children’s Profile at the Beginning of Primary Education—Physical and Cognitive. Unit-II: The Children’s Profile at the Beginning of Primary Education—Social and Emotional. Unit-IV: Social and Emotional Development during Primary School Years (6 to 10 Years). Unit-II: Types, levels and approaches to Learning. Unit-V: Constructivist Approach to Learning. Unit 4: Secondary Activity-Industries-Classification of Industries-Factors Determining Development of Industries. Unit 5: Legislation and Welfare schemes for Children and Women. How many subjects are there for Secondary School Teacher Post? 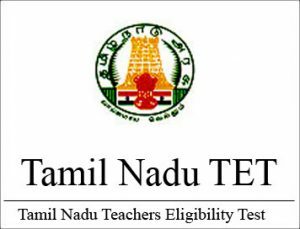 There are 4 subjects in Secondary School Teacher Post for TNTET 2018 exam. Know more about TNTET 2018 Syllabus. How many subjects are there for Primary School Teacher Post? There are 4 subjects for Primary school teacher post in TNTET 2018 exam. Know more about TNTET Syllabus.